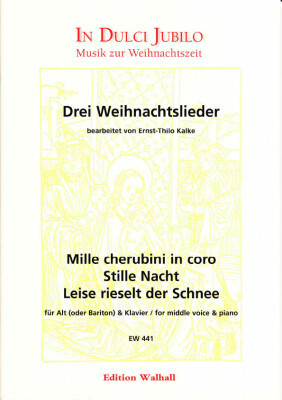 'three Christmas songs for voice & piano, arranged by Ernst-Thilo Kalke: "Mille cherubini in coro", "Stille Nacht" and "Leise rieselt der Schnee". The songs were also orchestrated by Ernst-Thilo Kalke (high voice [d flat''-a flat''''] & orchestra). You can order a score and set of parts as well. An edition for medium voice [g-e flat''''] is also available. Revised and enlarged new edition. 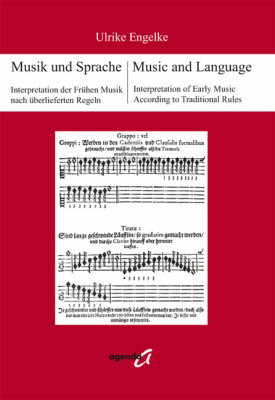 "Music and Language" combines with many practical examples the most important historical knowledge for the interpretation of early music. So it offers to all instrumentalists and singers a well-founded guidance on interpretation. After an introduction to the Menusuralnotation major textbooks (15th to 18th century) for the diminution, articulation, vibrato and declamation are summarized and provide information about the performance style of that time. The chapter "Melody as Musical Speech (Mattheson)" and "Tempo Relations of Canzonas by Frescobaldi, Castello and Fontana" round off the essay with a historical review and practical examples. 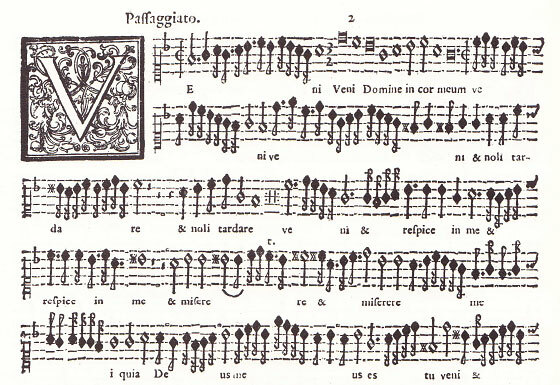 For the most authentic reproduction of early music, this book is indispensable.